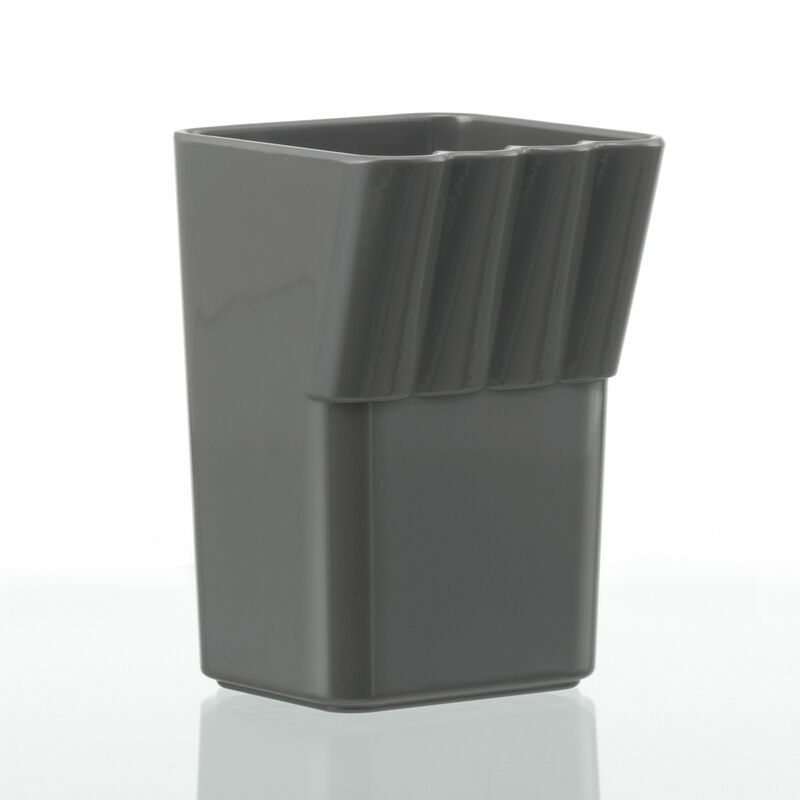 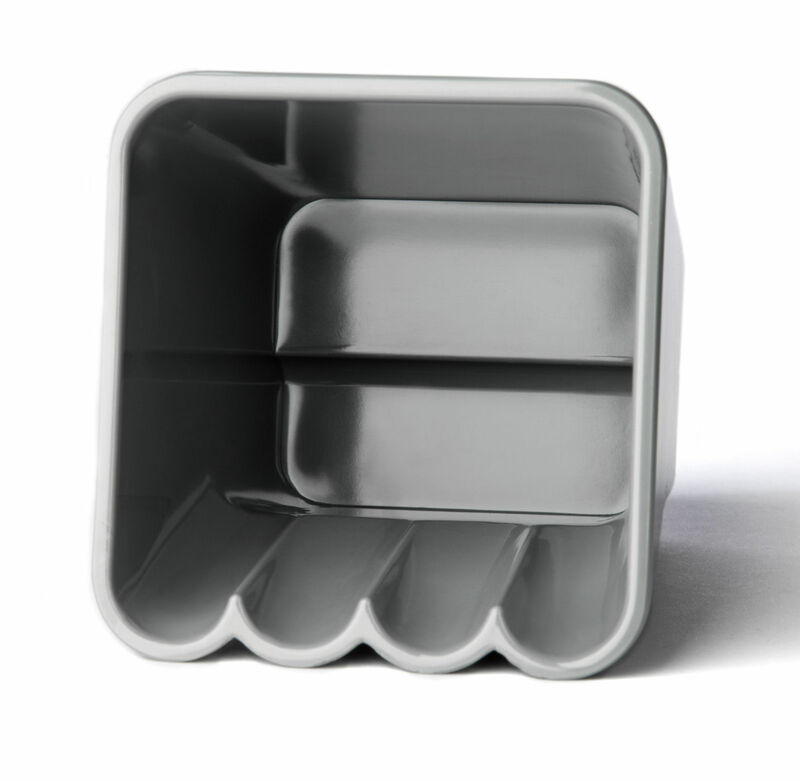 Square cup with rounded corners made from thick-walled, pure melamine. 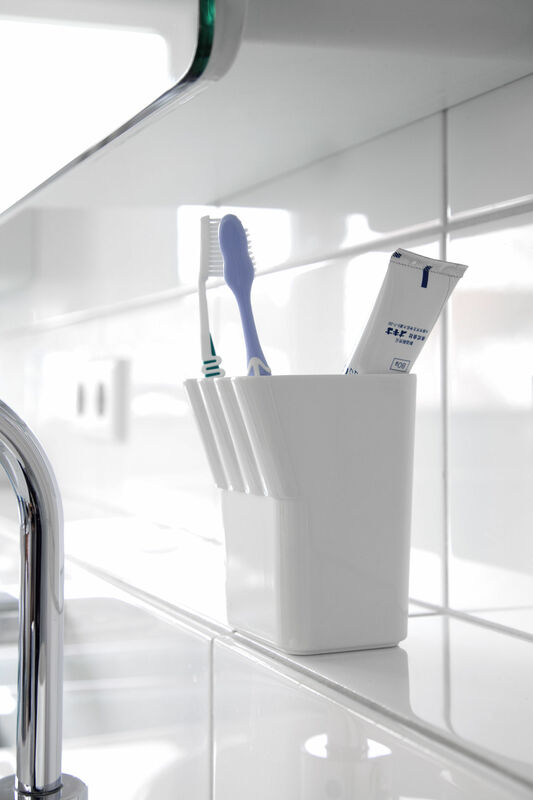 The front section that tills forward provides space to position four toothbrushes separately. 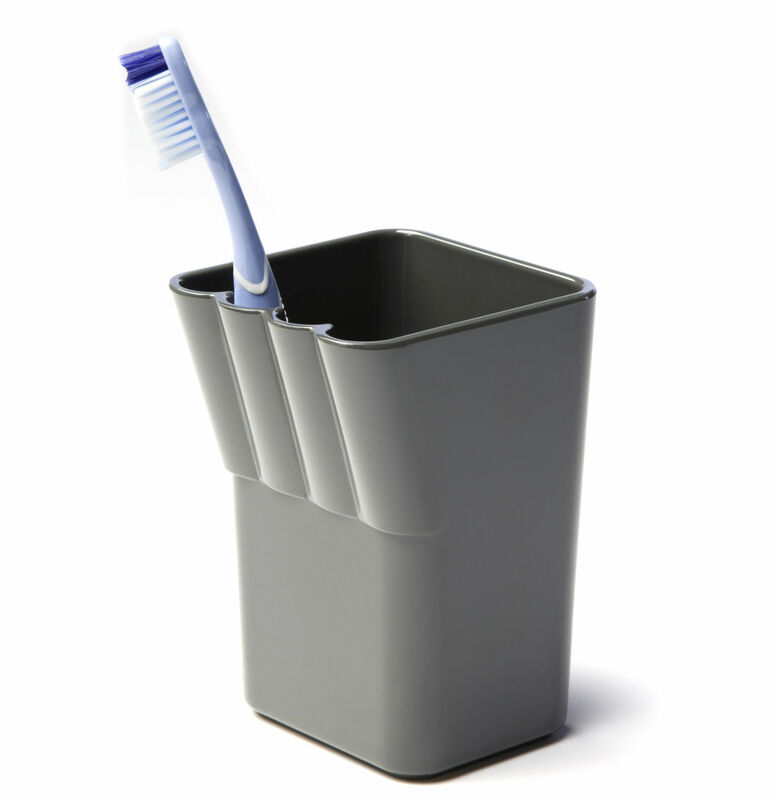 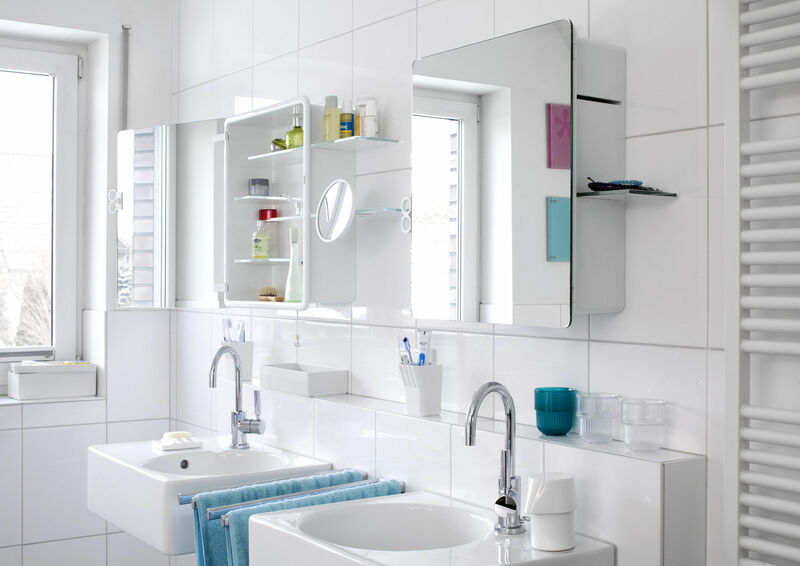 A lower level in the internal section ensures that water can run off and thet the toothbrushes stand always dry. 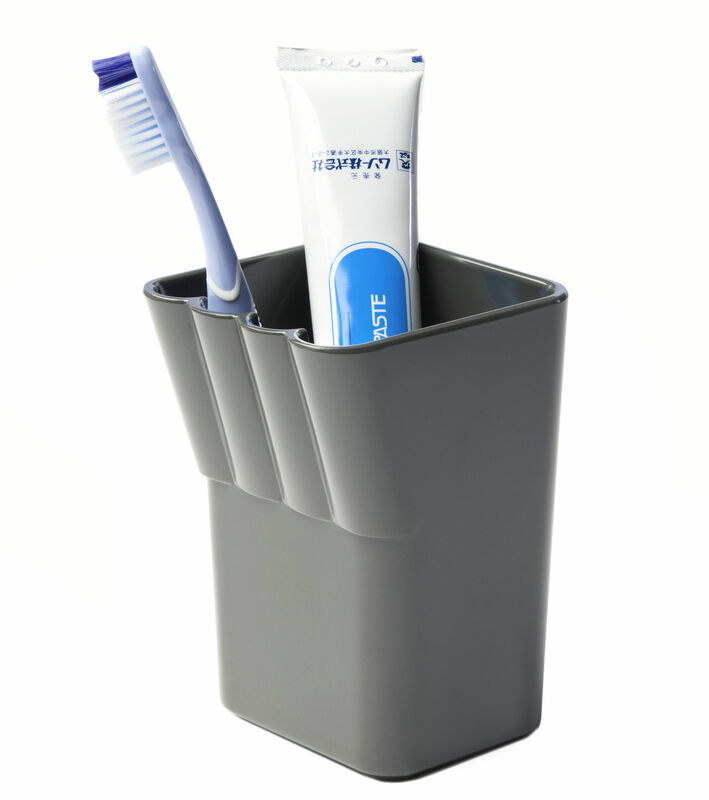 This product can also be used as a pen-holder on a desk.